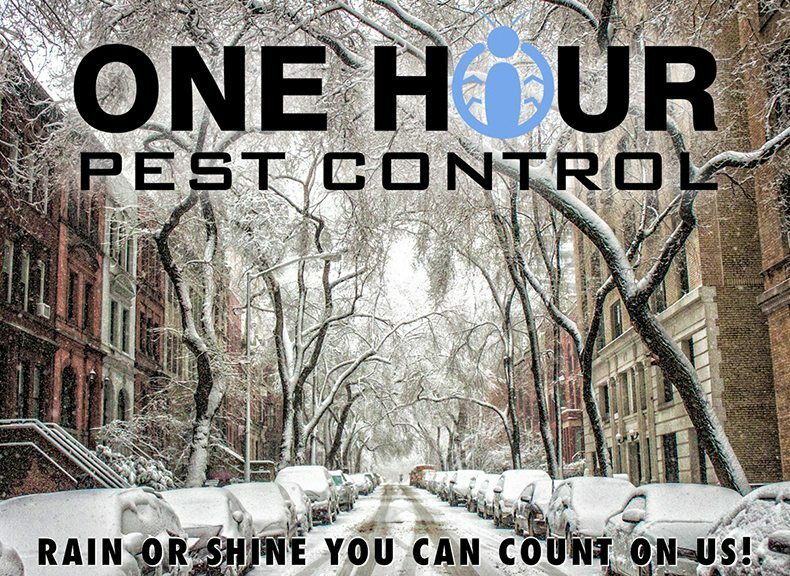 How Much Does it Cost to Hire a Pest Control Exterminator in NYC? When you’re looking to hire a pest control service (aka exterminator), you can expect to pay from $110 to $290 per treatment. The reason for the range in prices is very simple. There is a wide variety of pest control needs, depending on whether you need a treatment one time or on an ongoing basis, which technique is required, and what type of infestation you’re faced with. Ants — they eat your food and crawl all over your countertops. Yuck! Some types will even sting you. You do NOT want to find out why fire ants got their name. Bats — there’s a reason why bats are associated with an over-the-top ick factor. These flying mammals are one of the most common transmitters of rabies. As if that’s not enough, their guano, or poop, can spread another dangerous illness called Histoplasmosis. Bed bugs — the bed bug crisis has slowed down, but it’s by no means over. Although these insect pests do not transmit disease, they live on human blood and in return, leave their victim full of unbearably itchy bite marks. Birds — birds can be beautiful little creatures, as long as they’re not living on your roof, attic, or bathroom vent. As well as causing human breathing problems via their feathers and feces, they bring along charming friends like lice, mites, and snakes. Crickets — crickets are harmless to us human beings. That’s small consolation though, when your basement or bathroom is overrun with the blasted things. Hop! Hop! Fleas — dogs are man’s best friend, so much so that they are happy to share their worst enemy with you. After a close encounter with a flea or two, you’ll begin to understand why Rover is constantly scratching. Mites — mites come in a number of sub-varieties, none of them what you might call beneficial to human beings. Whether you’re looking at the human itch mite or the household dust mite, they seem to be purposely designed to irritate your skin or nose. Mosquitoes — packing quite a nasty punch for their small size, mosquitoes can transmit debilitating, even life-threatening diseases from malaria to dengue fever and West Nile virus. Roaches — there’s so much not to love about cockroaches. They carry bacteria, parasites, and the polio virus, as well as acting as a trigger for asthma attacks. And besides, they stink … literally. Rodents — rats and mice are responsible for carrying 35 different diseases that are truly terrifying. Think Lyme disease and West Nile fever (indirectly, through parasites that feed off rodents) or rat-bite fever, hemorrhagic fever, and plague. Spiders — here’s the good news: although many domestic American spider varieties may bite you, they *probably* won’t kill you. That is, unless you encounter one of the poisonous types like widow, brown, or hobo spiders. Flies — are the carriers of very deadly diseases, they infest meat and other food items, some of their species also spread food poisoning bacteria like Salmonella enteritidis. Ticks — ticks are best known as outdoor insects, infecting hikers and campers with illnesses like Lyme disease. However the brown dog tick can be brought into your home via your pet and once inside, will often repay your hospitality with a hearty bite. Supplies and Equipment — As a rule, the cost of your pest control pro will include all necessary supplies and equipment, such as baits, traps, pesticides, sprayers, dusters, and foamers. In addition, he will come equipped with safety gear such as coveralls, breathing masks, goggles, and gloves. Estimate — The initial estimate, which should include a detailed phone consultation, is often free. You may also need to have a pro seal the pests’ entry points and repair the damage they have caused to your home, at an additional charge. Hire only a licensed and certified pest control service, and make sure that they and their employees are adequately covered by liability insurance and workmen’s compensation. Choose professionals that offer expertise in getting rid of the type of animals or insects which you have in your home. If you are opposed to having the pests killed, look for pest control pros who are skilled at no-kill pest removal. When you are dealing with wildlife such as raccoons, hire a qualified animal removal service. Call in pest control as soon as you spot signs of infestation (insect parts or webbing, tracks, droppings, or a foul odor). As a rule, the sooner you take action against pests, the simpler and less expensive the treatment will be. Discuss an ongoing contract with your pest control pro, if a one-time treatment is not enough. This will be more effective and convenient than sporadically scheduled visits, and will usually end up costing you less in the long run. To make your pest control treatment as effective as possible, tell your neighbors. Problems such as bedbugs, roaches, or rodents can spread from one apartment or condo to the next, or even among private homes. Ask for a group rate if you all request treatment. Include at least one follow-up visit in your pest control contract.